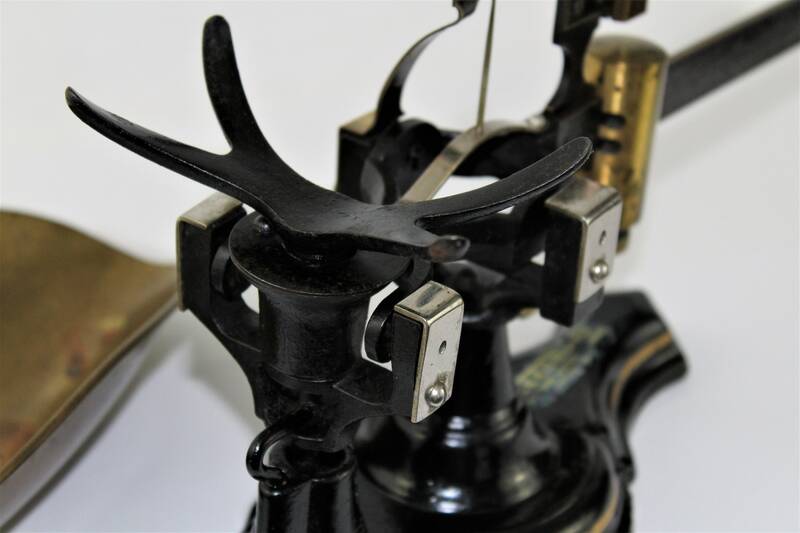 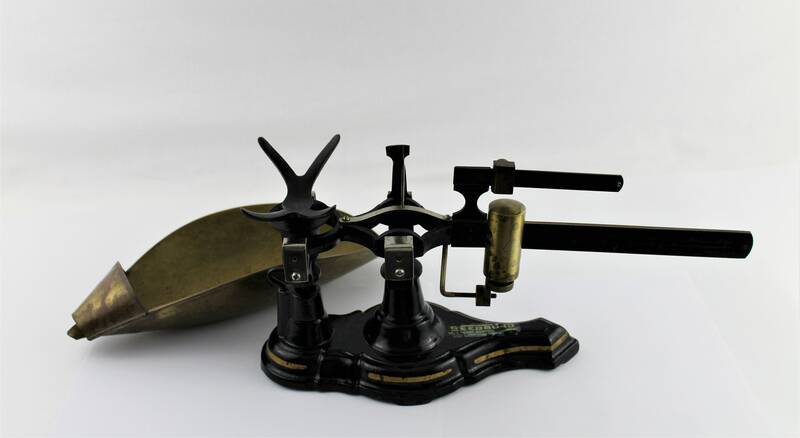 We have for sale an Antique Seedburo Cast-Iron Ohaus Countertop Balance Scale. 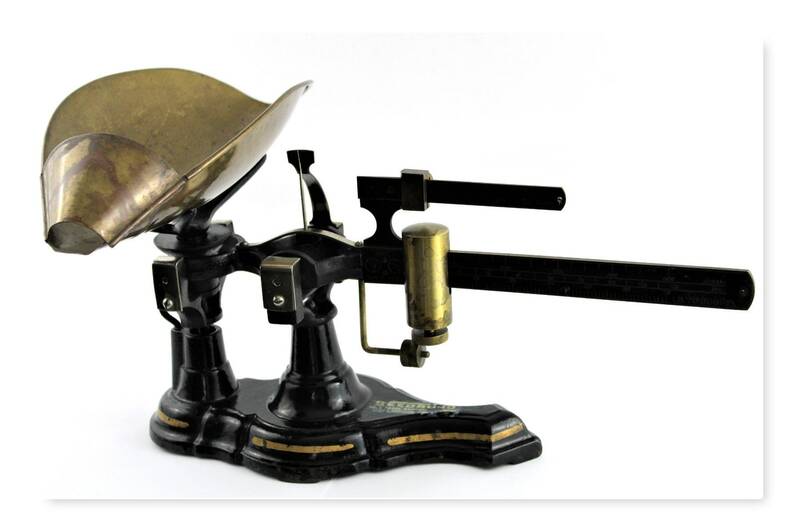 Beautiful display piece this early 1900s Cast-Iron Ohaus Countertop Balance Scale sold by the Seedburo of Chicago. 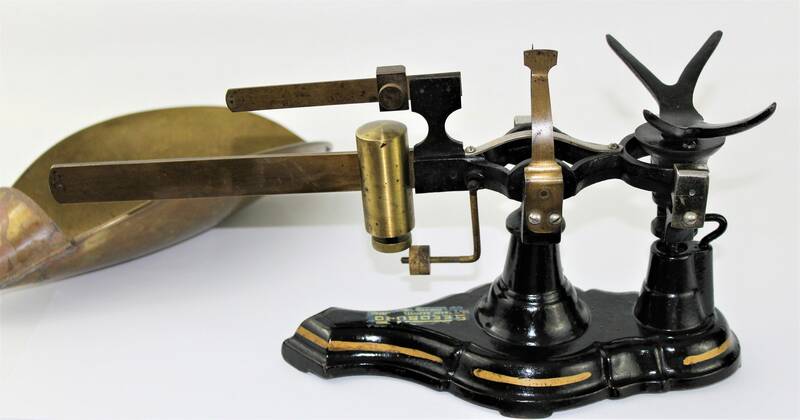 The scale measures in Grams, Ounces & Pounds to Bushel, it is made of a cast-iron base and brass slide balance and weights and a removable brass scoop. 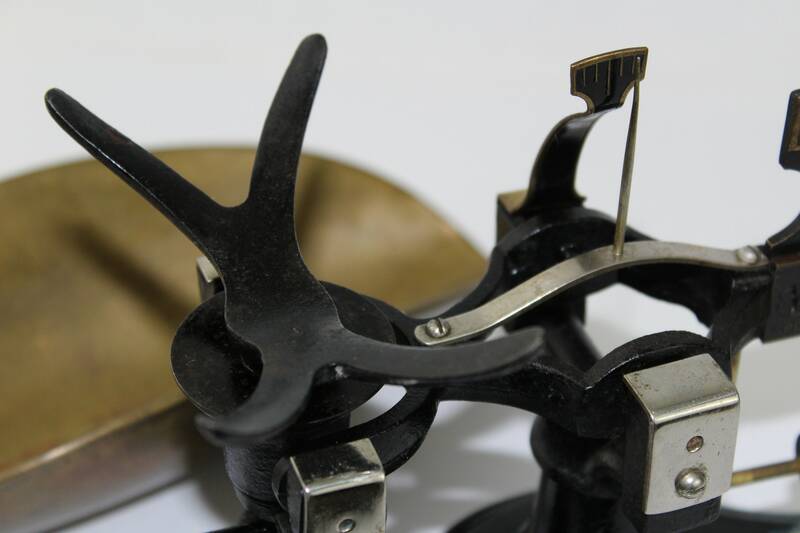 The scoop is funnel scoop designed to weigh seed and pour into paper sacks. 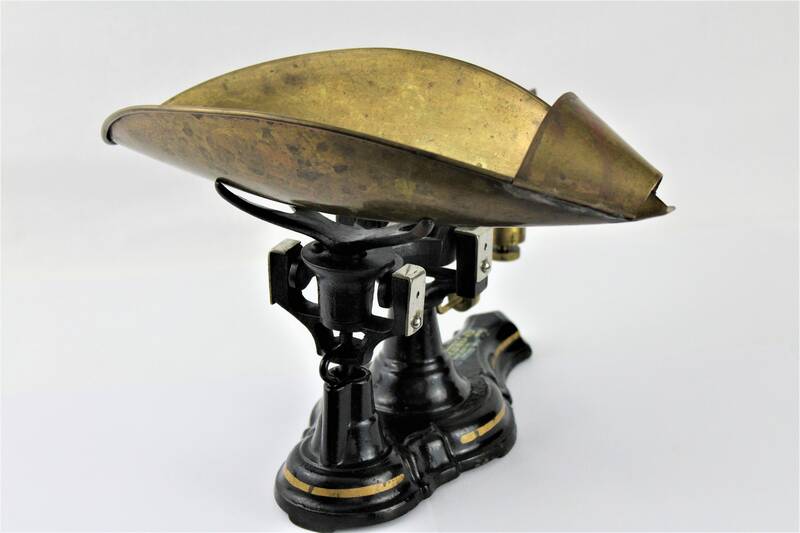 Condition is as found minus the dust and dirt we have oiled the cast iron to preserve and keep for rusting the brass has not been cleaned it has a deep rich patina. 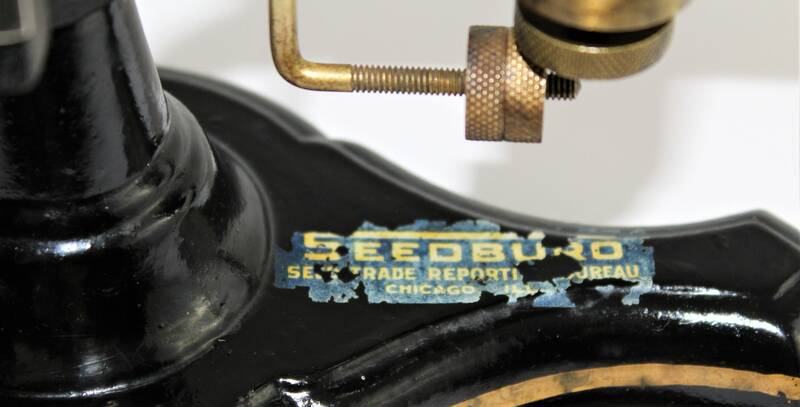 Founded in 1912, SEEDBURO became one of the largest distributors of ag related equipment in the United States. 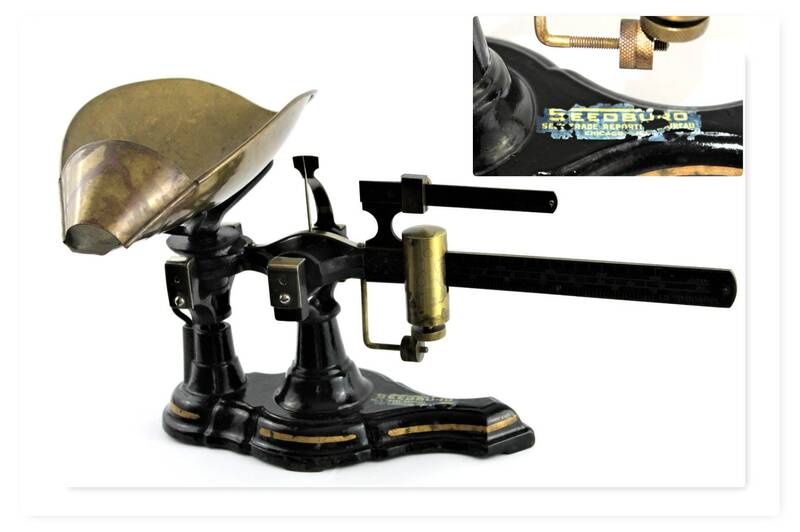 Seedburo first began exporting equipment world-wide in 1940 through an extensive network of international sales personnel. 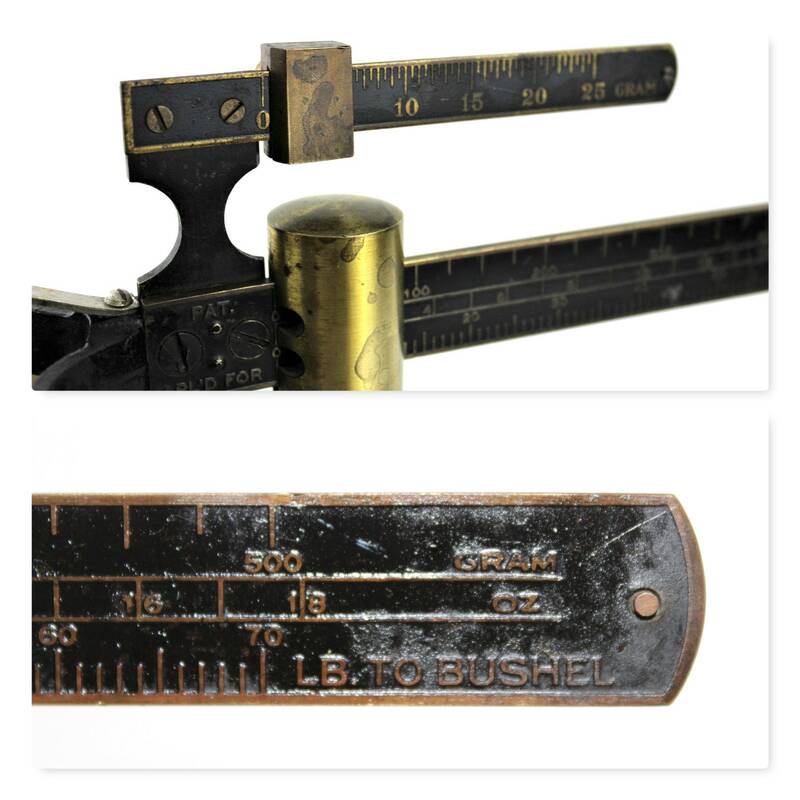 Measures: 14” overall length, 7” tall without pan, Pan measures 11.25 x 5.25. weighs 5.8 pounds. 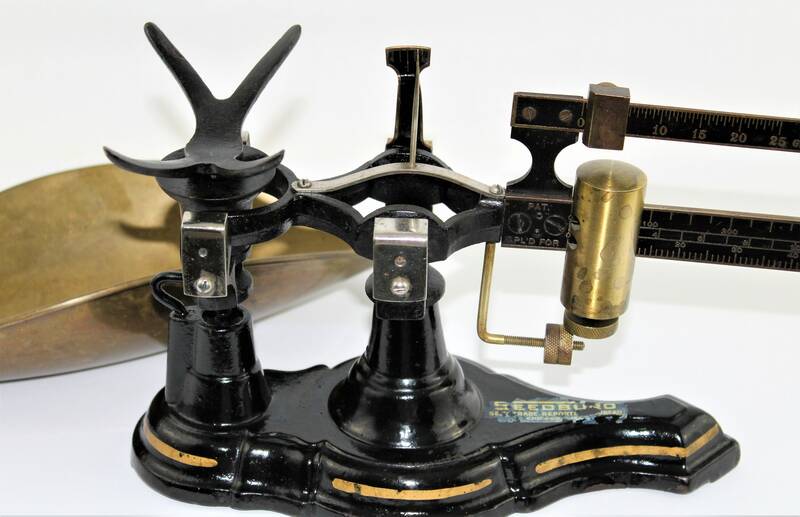 Condition; very good with paint lose at base of scale.